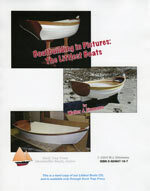 Duck Trap Press is an offshoot of our years of boatbuilding. 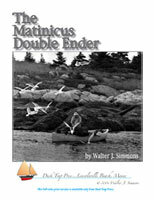 We publish and distribute Walter Simmons' boatbuilding books, from the classic (and just rewritten) Lapstrake Boatbuilding to the most recent, Building the Harbor Skiff and Building the Alli8. 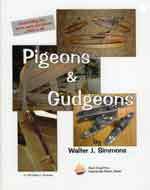 These books are intended to be used, not simply to decorate a coffee table. 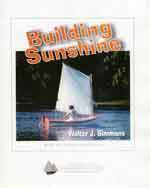 And we've introduced Boatbuilding in Pictures CDs as well...see below. Our books are large format (8-1/2" x 11"), comb bound to lay flat on your bench, and provided with sufficient white space for those all-important notes. Our CDs are in Adobe Acrobat® format and are readable on Macs and Windows machines. 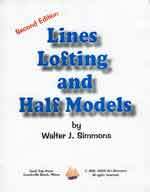 The information contained in all of them is the product of decades of first-hand experience, years spent honing skills and inventing little tricks to get the job done more efficiently. 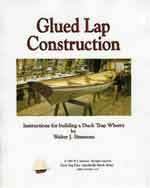 As one reviewer said, "Boatbuilding is never easy, but there are easier ways to do things, and those are explained clearly and concisely." 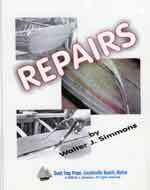 Here are the books that explain building traditional small craft, and will help you to get your boat right the first time. Don't forget to check our deals page. We understand that some folks are having difficulty connecting using our usual email address. For those of you with that problem, please accept our apologies and use this alternate email link. Click on the book covers below to navigate to each book and CD. 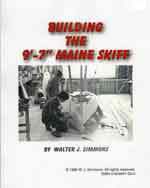 Building the Alli8 and Building the Harbor Skiff are available in 3 formats: on CD, as a full color book, and as a black & white book. Clicking on the covers will take you to additional information. 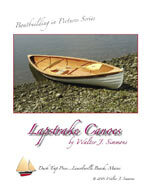 Lapstrake Boatbuilding is also available now on CD. Yes, this book is smaller. 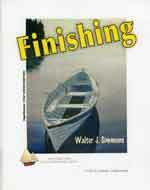 available on CD or as full color books. 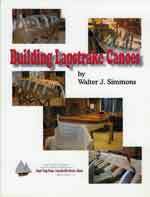 Even though all of our CDs are all about building traditional boats, each has something unique to offer. 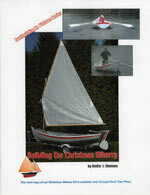 The one on the Littlest Boats is a solid introduction to boatbuilding, and makes a great supplement to Building the Maine Skiff. 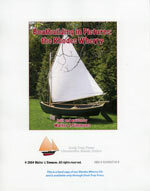 The Rhodes Wherry CD has more on building the moulds and setting up than any of the others. 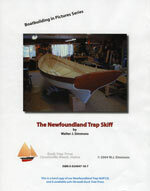 The one on the Newfoundland Trap Skiff has a great deal on planking. 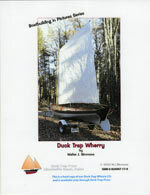 And the Duck Trap Wherry CD has a lot of inboard joinerwork details. 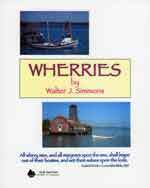 The Christmas Wherry CD has all of that plus information on the all-important details that are too often overlooked by new builders. They all cover similar subjects, as they must, and there is something different to learn from each and every one. The images below are links. Click on any of them for more information.